The history of this world was a history of wars. Ever since this world was created, Zhuang and Shao always opposed each other like Yin and Yang. Ma also existed, claiming itself as one of the three dominant factions. Like three different sons of this world, they were similar in nature. Zhuang, standing on the principles of chivalry and gallantry, sometimes contradicted itself with hypocrisy. Shao’s fierceness was easily turned into greed, and Ma’s energy, hidden deep inside them made them dream of uniting this world. Just like that, the three forces were maintaining the balance as they were checking each other. An event occurred, which joined together the three forces that were never likely to form a team. Twelve Demons, risen from parts of the world. They were all comprised of those who were hated, and ignored. They appeared, as if they represented the heaven’s punishment against this world. When the Namgoong Clan took a primitive attack against one of the devils, the whole clan was wiped out by one devil. That’s when warriors realized, and gathered around the federation of heroes. The devils’ skills were strong and strange at the same time. Forms never before seen, and skills never before experienced. Many places were burnt down and collapsed. Clans were defeated one after another, and the final solution, the four clans even collapsed. As time passed, the twelve devils acquired more and more power: all the ignored warriors were gathering under the demons. However, their target was not only Zhuang. 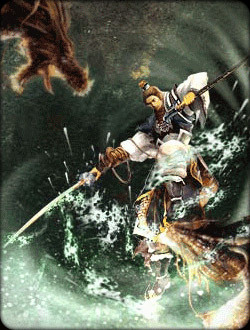 As Zhuang collapsed, Shao and Ma were also threatened. They were no different– the most central clans and houses of the Shao and Ma collapsed one after another. As situation got worse, there was only one word in the minds of warriors. The battlefield was slowly dying like that. The man who seemed so weak, was today’s Great Dragon. He successfully lured the twelve demons to the Great Mountain and the trap set in it. Because he prepared so perfectly, twelve demons all ended their lives there. Immortal body, the horrifying skills were nothing against Great Dragon’s brilliant plot. After 12 demon’s death, their followers were nothing but weak sheets of papers, ripped and crushed by the Zhung,Shao,Ma. Most were killed, and those who saved their lives were spread out. 12 demons were dead, but nothing showed what actually called them to this world. The Great Dragon also kept his mouth shut about how he could lure all of them to the Great Mountain. As everything was veiled, the world was recovering its peace. It was the Sky Dragon alliance which kept everything silent. Shao and Ma had to keep quiet. It seemed like their days were over. The incident that shocked everyone! The Great Dragon was murdered, even surprisingly, in his own meditation room. What was even more surprising, was that there was some that claimed Mistress Peony was the culprit. Everyone was looking at the Sky Dragon alliance. They tried to investigate what really happened, but the said culprit Mistress Peony never woke up after she blacked out right after the incident. Communication was impossible, and the incident was lost. Why would Mistress peony kill him, her husband? 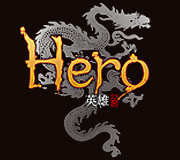 Young Seo, the only daughter of the Great Dragon and Mistress Peony went on a search for a hero that will put and end to this case. She knew that her mother had no reason whatsoever to kill her father. Mother loved father, and fully respected him. No threats could’ve made her do this. Even if she loses her own life. It was clear that there was a hidden plot behind all this.. However, the evidence was so decisive that there was no way for her to get away. Her mother will die with the dishonor written on her name. Young Seo needed a hero, who will unfold the truth. A hero that will clarify the truth about her father’s mysterious death..
A hero that will stop the bloody wind that will blow throughout this world..
She looked for such a hero again and again. A hero has found Young Seo. He didn’t even reveal his name, and jumped right in to this case. He first sought Holy Physician, who was in charge of dissecting the Great Dragon. Through Holy Physician, he found out an important factor. The reason why Mistress Peony was not because she was shocked, but because someone used the evil skill of Mind Control on her. There was only one person who could take off the curse. It was Mad Physician, who was well-known for not dealing with Zhuangs. Mad Physician is ill-tempered, and didn’t care much about how others see him. There was one rule to him, and that’s to never help any person from Zhuang. It was due to his tragic past. A warrior from Zhuang visited the young Mad Physician a long ago. The warrior wanted to heal his fiancé's incurable disease. Mad Physician cured her with all his knowledge, but she died regardless. The warrior, heartbroken, pointed his finger at Mad Physician. Not too long after, Mad Physician’s young wife was killed by an assassin. Of course, the Zhuang warrior was behind this. It was his revenge. It was then, when Mad Physician made the decision not to deal with any Zhuangs again. The hero had to do everything Mad Physician told him to do, in order to turn his heart around. After all, Mistress Peony held the key, and Mad Physician was the only way to her. At last, Mistress Peony was free of Mind Control. Mistress Peony told the hero a shocking story. It was related to the 12 demons. It was something that was too long ago, all forgotten into the flow of time. But, the fear was resurrected. Mind Control was the skill of Kima, one of the 12 demons. Somebody was trying to resurrect him. Finally, the Hero figured out that there was Red Illusion Clan behind this. A new religion that is luring warriors to the deep darkness of evil. A religion so powerful that the followers easily sacrificed their lives for the religion. The leader of the religion, Red Illusion High Lord was trying to resurrect Kima. To lure High Lord out, the Hero engaged in a fierce battle with the Red Illusion follwers. At last, Red Illusion High Lord appeared. Could the hero prevent the resurrection of Kima? Kima’s resurrection implied many other things. Resurrection of the twelve demons/Since Kima was resurrected, other demons will be resurrected, too. Fearful Chaos’s beginning. Who could possibly try to resurrect the cursed demons? The only person that will wake the world of this nightmare..